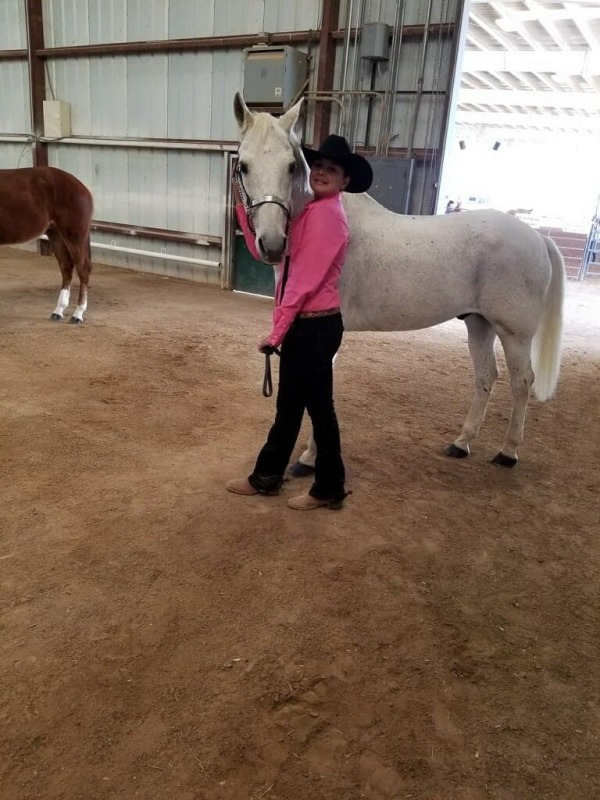 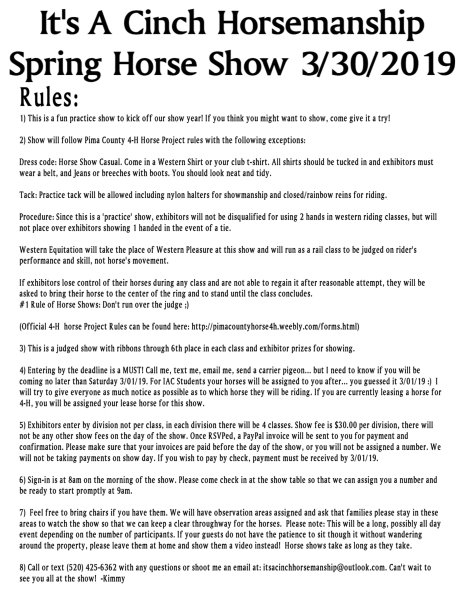 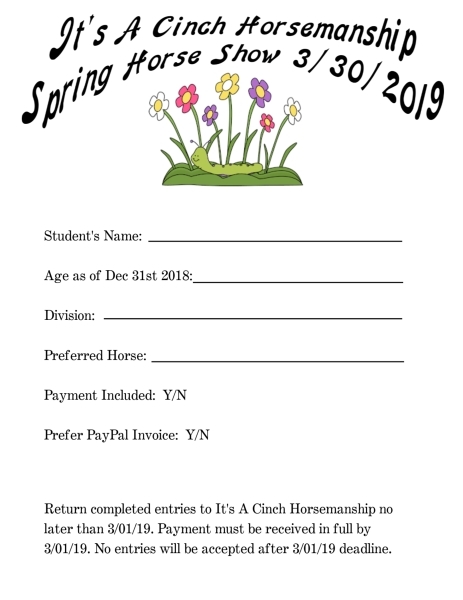 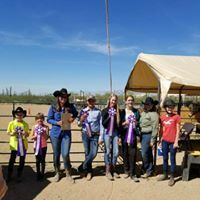 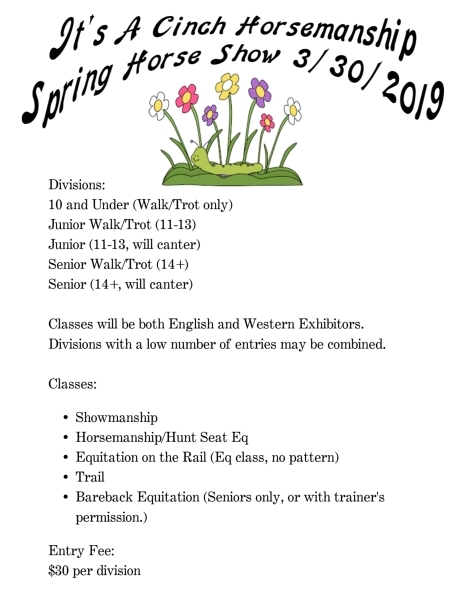 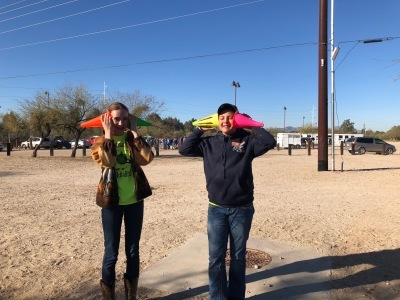 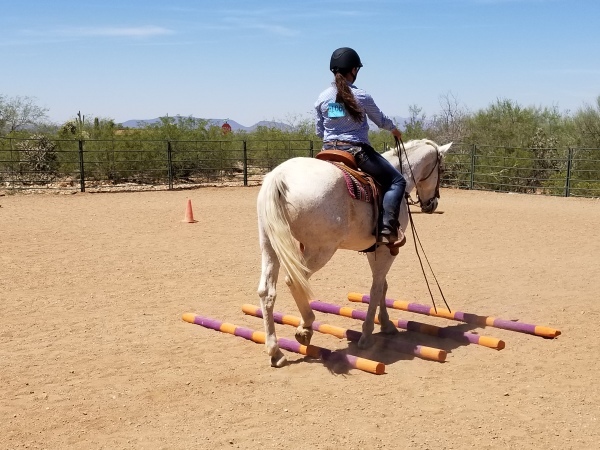 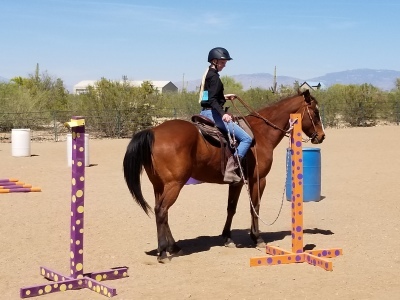 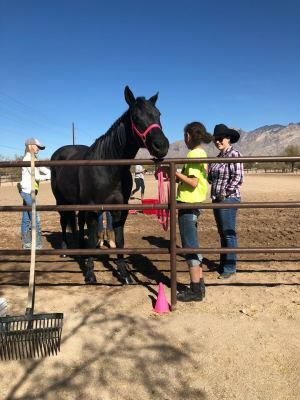 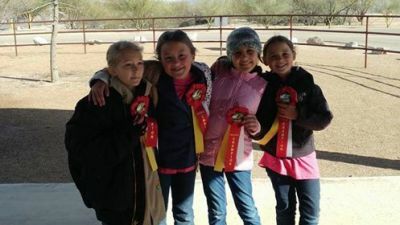 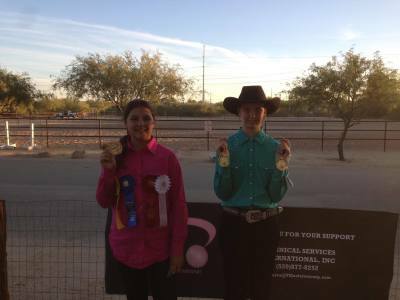 It's A Cinch Horsemanship offers several opportunities for iterested stusdents to show throughout the year, including 4-H Competitions, In-House Fun Shows and Open Shows. 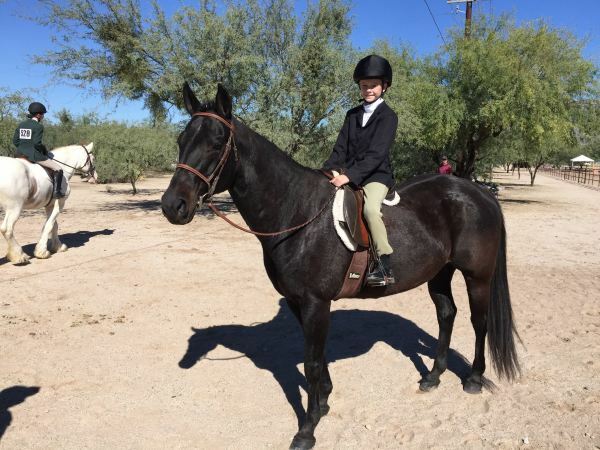 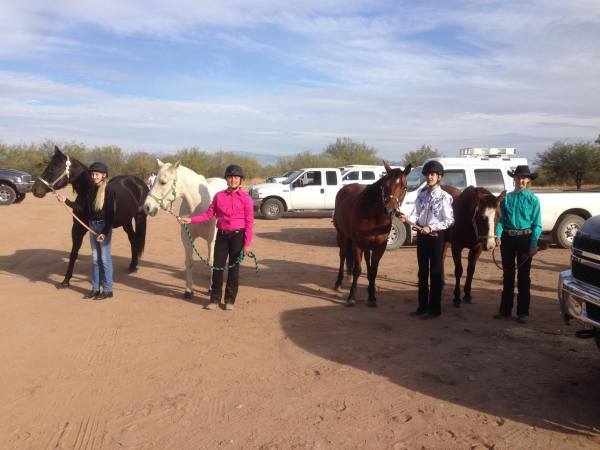 Lesson horses are available for students to 'Show Lease' at trainer's discretion. 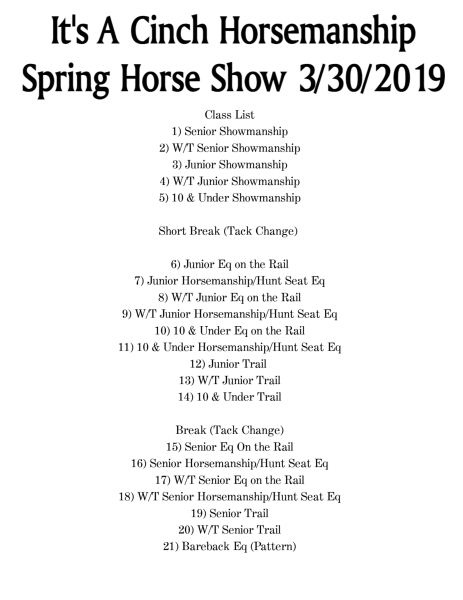 Show leases consist of a day lease of student's current lesson horse and tack for competition.